"7 Expensive Wedding Planning Mistakes Most Couples Planning a Wedding Make!" Most people have some of what kind of wedding they will one day have. They go through life seeing photos from celebrity weddings and attend weddings of family and friends throughout their lives. This experience is what forms the ideas and vision for their weddings, when its their time to say, “I do”. It’s typical by the time a couple becomes engaged, the bride to be has an idea of what kind of wedding she wants, what style her dress will be, where her wedding will be hosted, and the colors that will be used to decorate the wedding reception. The use of Pinterest, has allowed engaged couples to visualize every aspect of their wedding and provide the inspiration for sometimes over the top wedding celebrations. The ability to see so many ideas and gather inspiration for planning a wedding using Pinterest, that couples either create the perfect magical wedding day or get so overwhelmed they get lost and give up! Unfortunately, most couples don't realize how expensive some Pinterest-worthy, dream weddings can actually be. Before you begin your wedding planning or putting down any deposits, take a look at these seven expensive wedding planning mistakes most people make. This way you know what to look out for and save some hard earned money! While your here you can download my Free Ultimate Wedding Planning Guide and Wedding Planning Timeline Guide. They are free, completely useful and include some of the much needed charts and tools for guest lists, budgeting and more! The most important part of planning your dream wedding is by creating a realistic budget. If you begin planning a wedding without a concrete budget or knowing where your income is coming from you will hemorrhage your hard earned money really fast. You need to nail down exactly what you can spend on your wedding and are where your willing to spend on your wedding. Most importantly, define what you're going to spend where before making any purchases or putting down any deposits for anything wedding related. If you don't, you could spend too much in one area and have to skimp in areas you don't want really want, or you could ultimately overspend since you still have to spend so much on other aspects of your wedding day. Your wedding is supposed to be fun, exciting and memorable. Falling into debt, or not being able to pay bills after the weddings can be problematic. Also consider, money issues are one of the biggest causes for divorce in the United States. Starting out broke and in debt, probably isn't the best way to start your marriage. Every bride deserves to look amazing on her wedding day, but being realistic when it comes to finding the perfect wedding gown is important as well. You need to consider every aspect and costs of a wedding you're going to have to plan and pay for, so consider the extra expenses that come with the dress like shoes, veil, accessories, undergarments, etc. Even if your budget is $2,000, that doesn't necessarily mean that you can purchase a $2,000 wedding gown. I know $2,000 is low balling, but I’m trying to convey a message for a wide variety of budgets, from no frills to couples that can afford ultra luxury! Overall, it's important to be aware and in control of of how much you're spending on your dress and the accessories to go with it. Again, thanks to Pinterest, you might get your heart set on one a particular flower. However, you might not realize that if your flower selection is a seasonally variety it can affect the price dramatically. Furthermore, some flower varieties just more expensive and where you live can affect the price as well. Before setting your heart on a specific flower take a look at what's in-season and available within your budget. By selecting flowers that are in season, you'll find a great selection of flowers at affordable pricing. For some soon to be brides and grooms, the idea of having an outdoor wedding seems a less expensive option. Indoor wedding venues are way more expensive, right? Wrong! While you might think hosting your wedding outdoors would save money, you’ll be surprise how it might cost just as much if not more than booking a venue. Other than the property being your own of someone that you know, you still have to pay to use the property. Plus, you'll have to cover the costs that come with an outdoor wedding. You might have to rent chairs, tents, portable bathrooms, heaters or fans, or even lights depending on the time. Regardless, when deciding where and how you’ll be hosting your wedding, consider any additional items or services you'll need. Indoor or outdoor weddings can be costly and each has its benefits and negatives. Take the time to think it through, you might find it’s less expensive to host and indoor wedding, unless your heart is already set on an outdoor venue. The most expensive mistakes you make can happen during the contracting of vendors. Make sure every contract your receive is read and understood. Make sure every details is written in your contracts and don’t accept “Don’t worry, we’ll do this or that”! If they are going to say they'll do it, offer it, provide it, give it, have it, provide it, do it and be it, then they will have no problem doing it. If you fail to have every detail written down, don’t understand the contract or aren't provided a contract, you could get hit with added charges, lack of services or products or just plain get taken advantage of. Make sure you clearly understand exactly what you're paying for and what you are receiving. Also know what would count as an upgrade or added charge. You’ll be happy you took your contracts seriously once your wedding has passed. Planning a wedding seems like it would, of course, be the less expensive option. After all, wedding planners aren’t cheap. You would be very surprise how much a wedding planner could save you in time and money. Without the prior experience of planning a wedding or a major event, it can be extremely difficult for you to know who, what, where and why when it comes to finding the best wedding vendors at the best rates and prices along with the options they offer, a planner may be privy too. You may have to pay your wedding planner a fee for their services, but they know the industry and advocate to get the best pricing and services for you. They will also keep you budget strictly in mind and help you stick to yours as well. That alone, makes it worth hiring a planner. Then on wedding day they'll be there to deal with all the vendors, organize where everything will go, tip your vendors for you, and make sure every aspect of your wedding happens when it should and how it should. That reduced stress and anxiety is priceless on your wedding day! It's really easy to get caught up in the chaos of planning your wedding. At some point, every aspect of your wedding day will seem important and something you don't want to limit. Your wedding day may very well be the most important celebration in your life, but it's not worth going way over your budget and falling into debt. This is why, it’s so important to have a realistic budget and wedding priorities in order. More importantly, still to both no matter how tempting. If it's the food is the priority, then spend more on the meal. If it's the flowers and venue, then maybe have light appetizers instead. Whatever is most important to you, decide what it is before making any wedding plans. That way you know how to allocate your money and where to consciously save. Contrary to popular belief, a beautiful wedding doesn't have to cost tens of thousands of dollars. Yet, if you go into your wedding planning unaware, unprepared, uninformed and misinformed, the cost can skyrocket faster than you can say, “I do”, and quickly escalate into a financial disaster. Which isn't the way you want to start a marriage to begin with? As my friend, Michael Winship, owner of Charleston Wedding Planner, says, “Don’t forget the marriage, when planning your wedding”! This is so true…..
Before committing to any wedding plans, signing any contracts or making any down payments, make sure you avoid these 7 expensive wedding planning mistakes most people make. I can assure you, you'll not only throw a beautiful wedding day affair, but stay on budget, you'll have a great start to your marriage, and your family and guests will have the time of their lives. 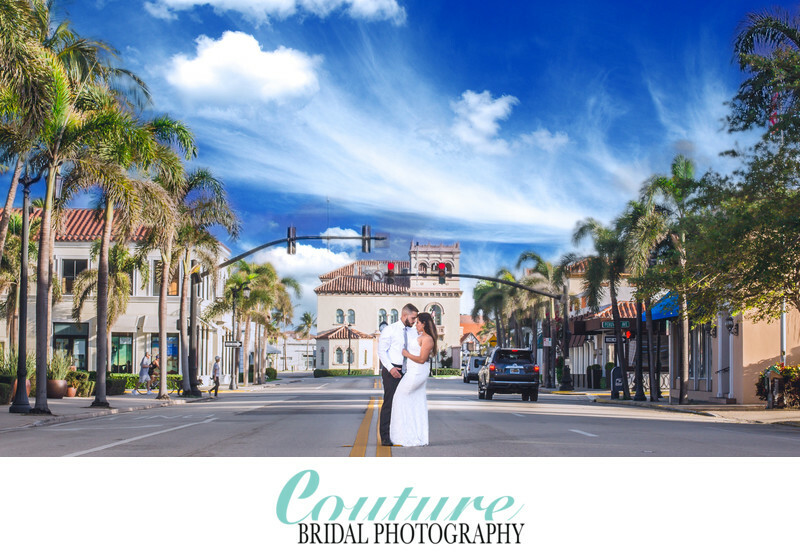 Alfredo Valentine is a Fort Lauderdale based Wedding Photographer and owner of Couture Bridal Photography, Alfredo Valentine frequently travels throughout the United States, Caribbean and South America on Destination Wedding assignments. You can also find Couture Bridal Photography is highly rated on Wedding wire and the Knot.